Home » Credit » Credit card » Do You Need A Credit Card? Answer These 3 Questions! Do You Need A Credit Card? Answer These 3 Questions! Credit cards are like the 45th President of the United States in that they certainly divide opinion. You’ve got one side that claims they’re a surefire way to lose money and end up in debt, with the other side claiming they’re a useful financial tool. Are You Planning On Making Big Purchases? 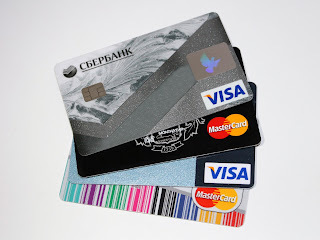 Credit cards are very useful for people that make a lot of big purchases or purchase important things. I’m talking about washing machines, TV’s, ovens, fridges, and other expensive household items. You could even throw a new car into the mix here too. A credit card helps you pay for these things while also protecting your purchase. If something were to go wrong, you’re protected because you used your credit card and you can be refunded or get a replacement. So, if you’re moving house or in a stage in your life where you have to buy lots of expensive things, a credit card is good for you. People who travel can benefit a lot from getting a credit card. If you’re constantly hopping on planes and staying in hotels, it’s well worth applying for a card today. Why? Well, as you can see on the best.creditcard website, a lot of cards come with travel perks. You can collect points to redeem and spend on airfares or hotels. Your credit card can end up saving you a lot of money if you’re constantly using it while traveling loads. Not only that, but it also helps you when you travel abroad. As well as the travel rewards, some cards allow you to make foreign payments without any transaction fees. This means you can take cashless trips and not worry about whether or not you’ve brought enough foreign cash. If you’re abroad a lot, this will be very useful. There are many times in life where your credit score will be reviewed by someone. This normally happens when you’re spending a lot of money or signing up for a contract. If your credit score is too poor, you may be prevented from buying what you want to buy. As such, you need to build it up. You can see on the nerdwallet website that your credit card can be used to build credit. If you make lots of purchases and pay your bill in full every month, your credit score will gradually improve. You’ll show you’re a trustworthy borrower and it will reflect in your new score. Answer yes to any of these questions, and you will find a credit card is very valuable to you. Answer no, and you probably don’t need one just yet - simple!